McMillan Heritage Plastering is a multi-award winning company providing expertise in traditional lime plastering and ornamental plastering. We deliver authentic traditional craftsmanship with a focus on conserving the integrity and character of original plasterwork. This is achieved through the use of traditional materials and time-honoured ‘in-situ’ methods. We provide our range of specialty services to homeowners, heritage architects, heritage consultants, builders and Councils throughout Brisbane, regional Queensland and interstate. We are available for projects of all sizes ranging from small repairs to entire building restorations. Please visit the Our Projects page to view a selection of our award-winning heritage plastering restoration projects. McMillan Heritage Plastering is owned and operated by leading master craftsman in traditional plastering, Scott McMillan. Scott is a member of Australia ICOMOS and the International Building Limes Forum. 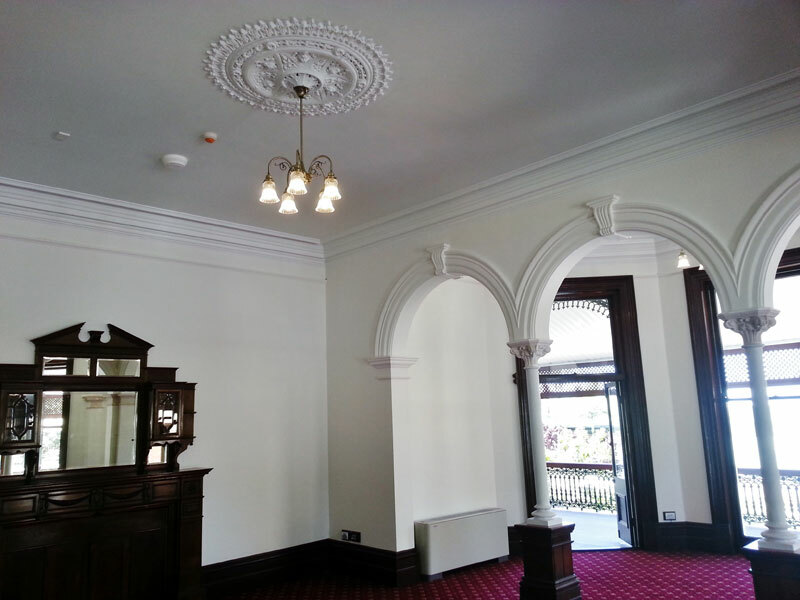 Scott was trained through one of the most reputable traditional plastering companies in the United Kingdom and is a fully time served ornamental plasterer with an advanced craft certificate in cornice restoration. He has been recognised as a plasterer with the highest skills in traditional lime plastering, solid internal/external plastering and the use of time-honoured ‘in-situ’ methods. For much of his career, Scott worked on projects on behalf of Historic Scotland until he was approached to come to Australia to meet a demand for his specific skill-set. His expertise and enthusiasm in the use of traditional plastering methods has cemented his reputation as a heritage leader in the traditional plastering trade amongst industry professionals. Scott is a strong advocate for the traditional plastering trade and is passionate about providing caring advice and delivering expert workmanship.